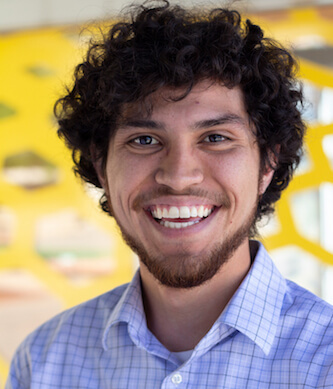 I recently graduated from the 20th cohort of CNM Ingenuity’s Deep Dive Coding Boot Camp. It was one of the most memorable experiences of my life. The camp was filled with talented people that I now get to call my friends. We pushed through technologies that were new to us, created applications with them, and showed them off to our peers on Deep Dive Coding’s Demo Day. The staff and administrators deserve their success for helping to create a strong and vibrant community of young people making their way in Albuquerque and beyond it. As for me, I’m looking beyond it. Albuquerque is my home, but I’ve learned that junior level tech positions at home are hard to come by. A few searches on any popular recruitment website will show only a handful of positions for people like me; non-traditional background applicants, fresh starters, and self-teachers. The tech community in Albuquerque is growing right now, and that’s great, but my expectations for employment and the opportunity to build a career still haven’t come to fruition. Companies and organizations in New Mexico want skilled and experienced developers - and that’s understandable. The more skilled and more experienced an individual is in their craft, the less money a company must allow for training and skill growth. But what they don’t realize – or maybe they just don’t care – is that they are forcing talented and reliable young people like me to develop our skills and ultimately build a life somewhere else. Since New Mexico companies aren’t as likely to hire Boot Camp graduates as I expected, the fact is that I must find opportunities in different states to build the kind of life that I want. My job search in other states has already proven to be more successful. While opportunities for junior developers here in New Mexico are scarce, job listings for junior web developers, often with good pay and incentives, are plenty in states like Texas and Colorado. The “Brain Drain” is defined as people emigrating from one state or country to another in search of better opportunities, academic or financial. Recent studies tell us that young people are leaving New Mexico at high rates. Meanwhile, the number of people moving to Texas rose by 10.8 percent, and Colorado by 10.2. It’s not hard to find out why. Colorado’s largest company, Catholic Health Initiatives, offers 78,000 positions, and Texas’s largest company, Pizza Hut, has 300,000 positions. In comparison, New Mexico’s largest company, Sandia National Labs offers only 12,300 positions. New Mexico simply just doesn’t have the work. I’m not the only one of my peers planning to leave New Mexico. People leave the state for their own reasons. Mine are for personal growth and to be able to have money to help those around me. But I hope to ultimately bring my skills and experience back home. Brain Drain sounds – and is - damaging to our local economy, because it sounds like we’re losing something valuable. But many of us are choosing to leave for work and to come back home later. This is called “Brain Circulation,” and I believe that New Mexico won’t be at a loss for much longer. Investments in the community by community leaders and large-scale companies like Facebook will open better opportunities for thousands of more people. We must help each other out and we can do that by starting up companies in New Mexico and building a space for them to thrive. If there aren’t any opportunities you must make your own - and that’s exactly what we’ll do. Carlos, best wishes brother! Get out there, see the world, now is the time! Please stay connected with the Deep Dive community. We have several alumni that came in from other states. We will be here trying to grow the 505 tech scene. If anyone would like reports or numbers about our programs and career outcomes, please shoot us an email at employers@deepdivecoding.com.